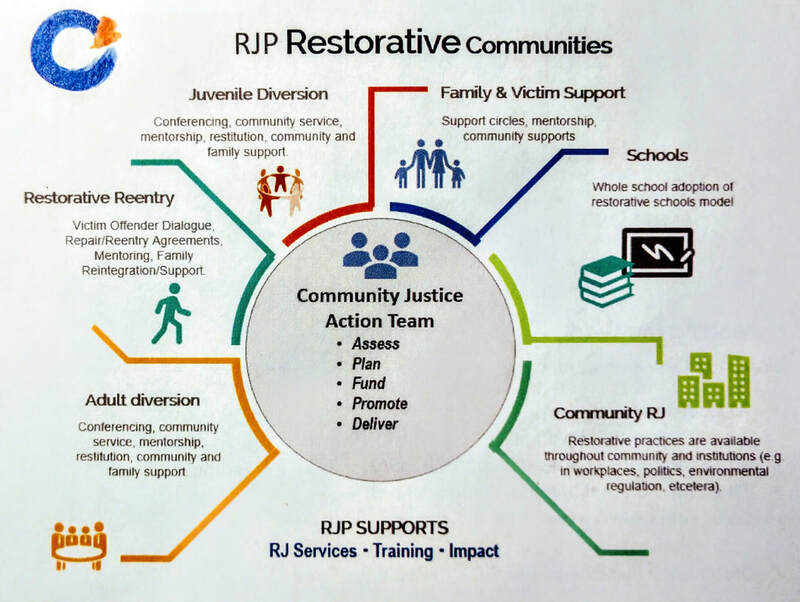 The Restorative Justice Project of Maine was founded to offer responses to crime and wrongdoing that are grounded in restorative principles. Our mission is to promote a justice that is community- based, repairs harm, and creates safety and wellbeing for all. All crimes in Maine are met with a restorative response. Restorative solutions are the norm; punitive solutions are the exception. Victims and communities have a prominent role in repairing harm caused by crime. ​All schools and education institutions in Maine use restorative practices to support learning, build community, and for dealing with conflict and wrongdoing. Restorative practices are well understood, used effectively and with fidelity to core values and standards. Restorative solutions are widely available: anyone, anywhere, anytime can seek a restorative solution. Sufficient, sustainable resources are dedicated to restorative practices; it is easy to find professionals and volunteers who are able to facilitate restorative responses. "You have found an effective way to get through to people. There are so many programs that are so focused on political correctness that very little good comes from them. We've become so concerned about not hurting feelings that young people are not truly confronted with what they've done. And let's face it, consequences are a joke these days.